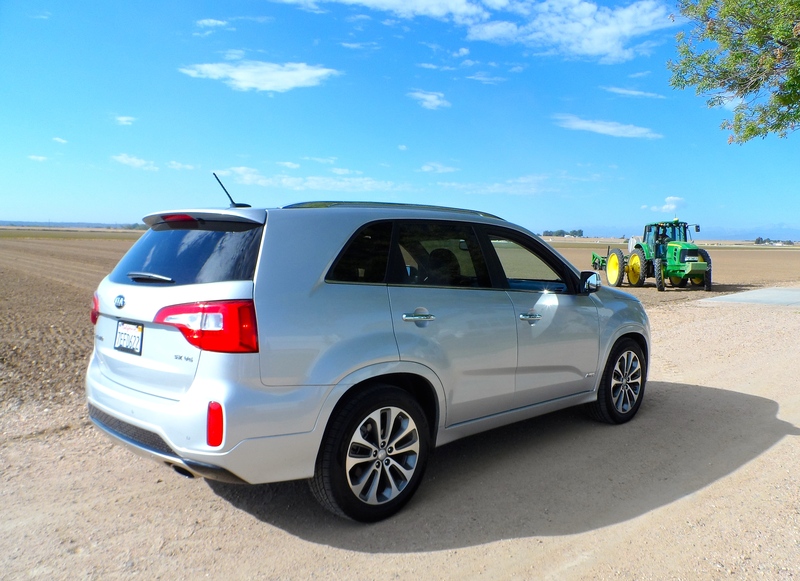 KIA manufactures SUV’s in two sizes, with the biggest being the Sorento, now produced in its third generation configuration. 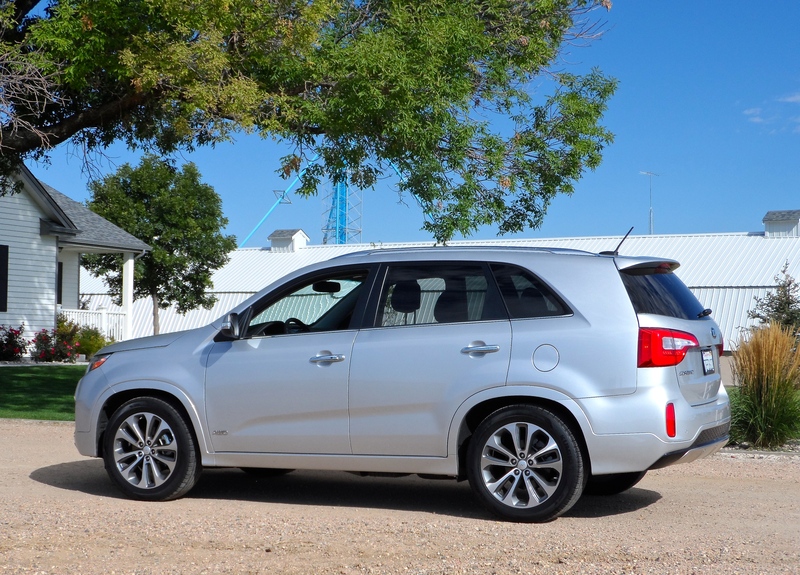 I tested a 2015 Sorento this past week, an SX model painted bright silver metallic. 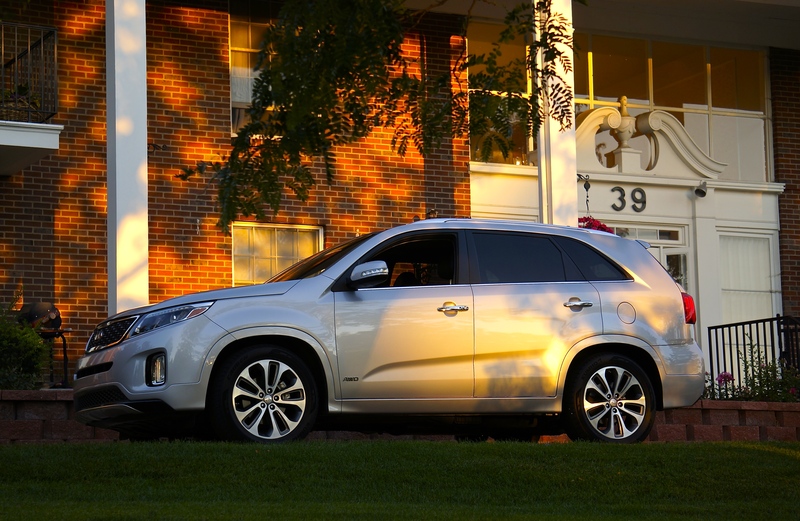 This year marks the fourteenth year of production of the Sorento, a mid-size crossover SUV, and the SX represents the middle of the line of Sorentos, with a generous list of standard equipment items included in its base price of $38,300.00. 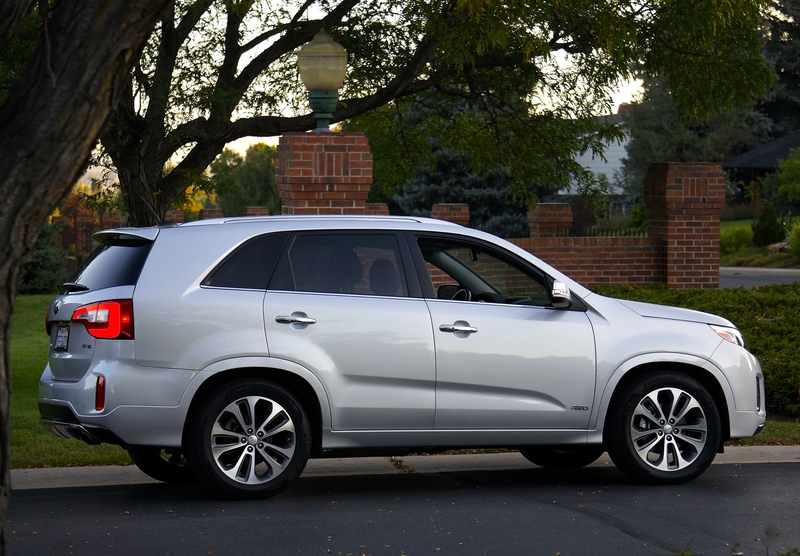 Like pretty much all of the Hyundai and KIA lineup (Hyundai owns KIA), the Sorento is good looking. It is a brother-in-law of the Hyundai Santa Fe, and this new model seats seven passengers. Luggage space in the far rear of my test car was limited to 9.1 cubic feet, a number that can be increased to 36.9 with the third row of seating folded flat. Double that amount is available if all seats are folded down behind the heated and ventilated power bucket seats that are up front. 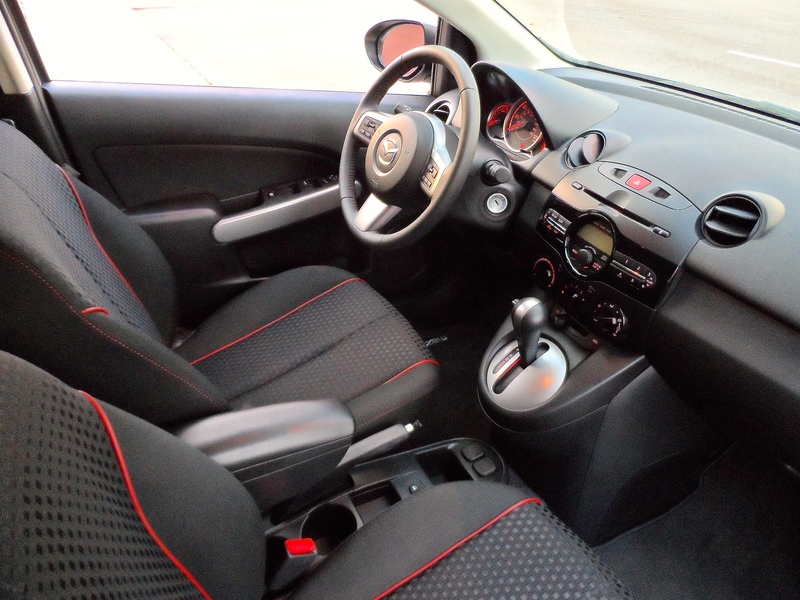 All the upholstery in the test SX was black leather and amenities inside included an Infinity surround sound audio setup with ten speakers, navigation/backup camera with 8” screen, panoramic moon roof, blind spot monitor, Bluetooth hands-free connectivity, tilt/telescope, rear window shades, pushbutton start, keyless entry, front/rear air conditioning, and satellite radio. Total passenger volume for the seven passenger SX was 151.4 cubic feet. I won’t mention the test car I turned in the day this Sorento arrived, but will say that upon entering the Sorento, I found the seating and interior materials to be an upgrade and very nice. Visibility, ride, acceleration, and handling are good, and guidance is acceptable. Speaking of acceleration, zero to sixty for the KIA is reportedly ten seconds. It is accomplished with a 3.3 liter V-6 with 290 horsepower (6,400 rpm) and 252 lb. ft. of torque (5,200 rpm). The full-time all-wheel drive train utilizes a six-speed electronically controlled transmission. EPA fuel economy ratings are 18 mpg-city, 24 mg-highway, and 20 mpg-combined. My calculation came out to 21.1 mpg for my week with the Sorento, and the fuel tank holds 17.4 gallons. I mentioned the looks of my SX, and the recruitment of Peter Schreyer to KIA (from Audi) eight years ago is a big component of that styling prowess. His TT model at the prior company was an award-winning design. The KIA I drove featured chrome door handles, ten-spoke alloy wheels, metal fascia integration front and rear, and a chrome luggage rack up top. The tires were Kumho Crugen Premium P235/55R19’s. Base price of the KIA is $38,300.00, and along with freight of $895.00, the total M.S.R.P. came to $39,195.00. This is where the KIA Sorento SX shines, in the value proposition department. 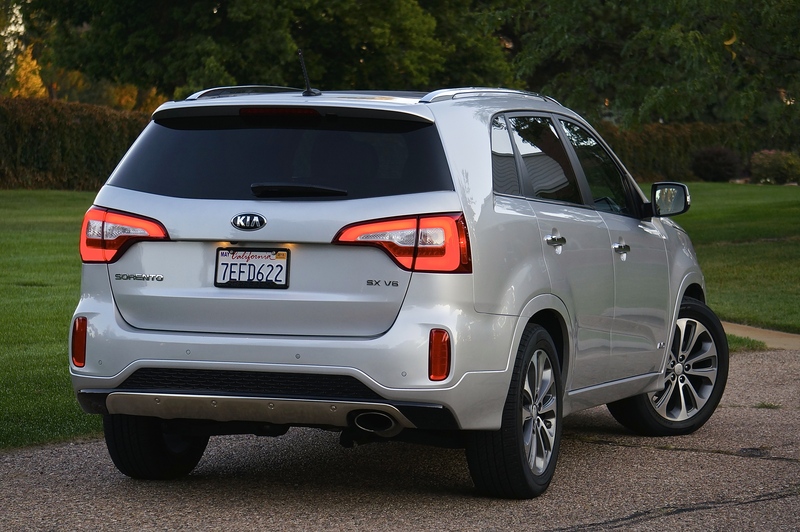 Many comparably-equipped seven passenger SUV’s come in at somewhere north of $50,000.00, so when shoppers are interested in such a vehicle, they best consider one of these KIA’s. While testing Honda’s new 2015 Fit this last week, I had a handful of people make that exclamation after looking over and riding in the car, most notably my wife, Ruth. 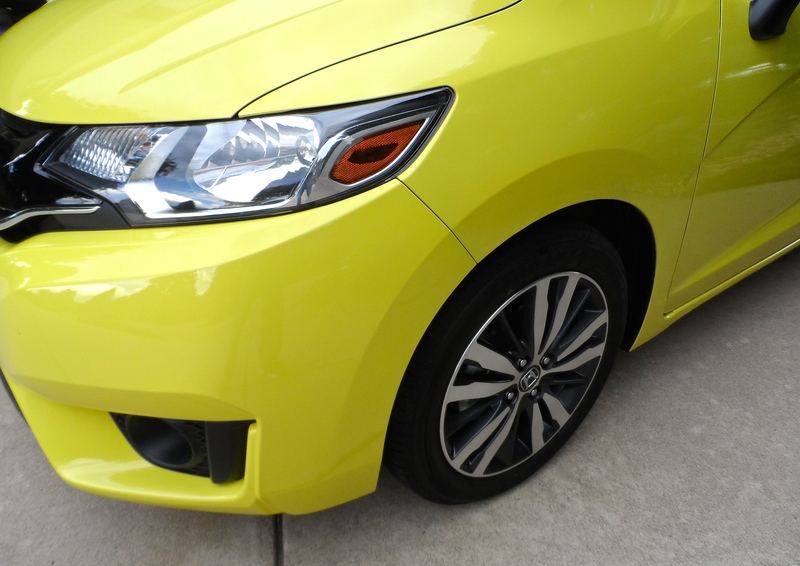 I was pretty pleased by the Fit, as well, a Mystic yellow metallic five-door EX model. The new Fit has been re-designed for 2015, with a distinctive crease incorporated into the bodywork and a new six-speed standard transmission. Its built on a new platform with an increase in rigidity and a 1.6” shorter (160”) overall length. Height (60”) and width (67”) are the same as a 2014, and the curb weight is 2,650 lbs. The front-wheel drive Fit has a 1.5 liter, 4 cylinder, 16-valve engine with 130 horsepower at 6,600 rpm and 114 lb. ft. of torque at 4,600 rpm. Zero to 60 mph acceleration is reportedly 9 seconds and top speed is 110 mph. Fuel economy ratings are 29 mpg in the city, 37 mpg on the highway, and a combined rating is 32 mpg. The five-passenger Honda Fit has a surprisingly ample rear seat for three that folds down or alternatively, can be reclined a bit for weary back- seat passengers. 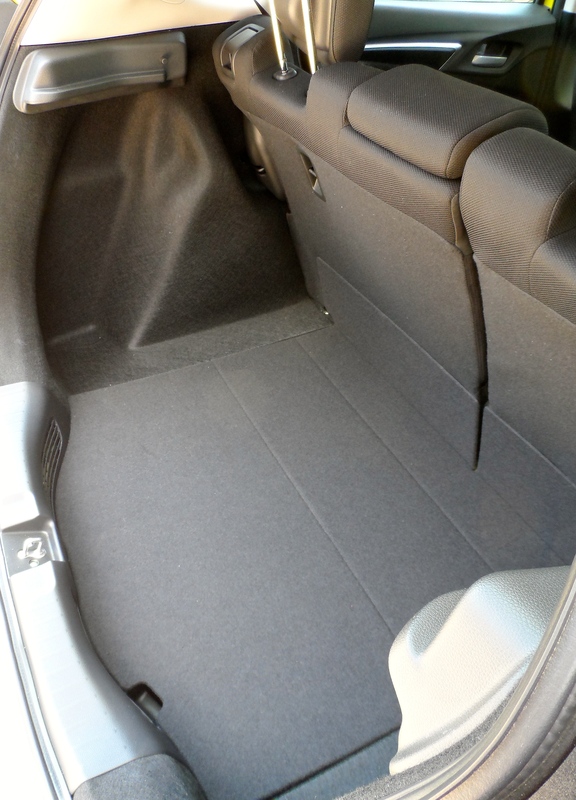 Behind the seat is 17 cubic feet of cargo space accessible with a hatch opening (called a fifth door). Folded down seating results in 53 cubic feet of space behind the little buckets. 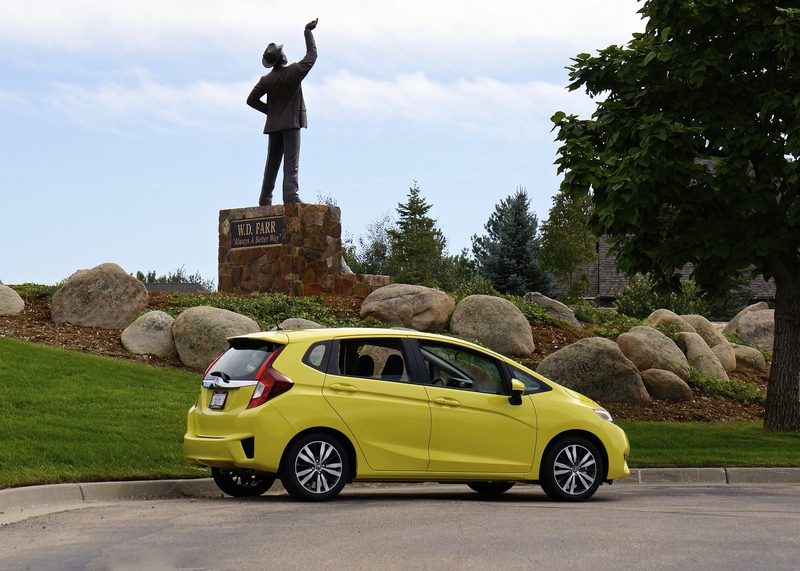 Guidance and ride are fine out on the highway in the Fit, and the little four buzzes along at 3,600 rpm at 75 mph. That leaves the six-speed transmission with relatively close ratios and that makes acceleration fun, if not breathtaking. Wind and highway noise out there are OK, and in town the handling is on target. Interior appointments, including cloth upholstery, are about what a person might expect, except that the EX has a proximity keyless pushbutton starter setup and a power moon roof. 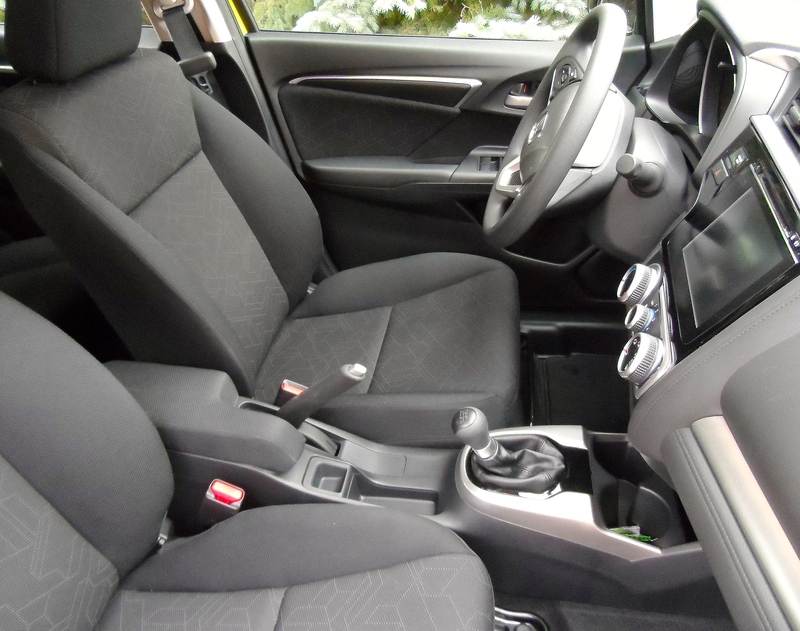 Materials are fine inside the Honda, and a lack of radio knobs can be overcome with steering wheel controls and a 7” touchscreen infotainment screen. 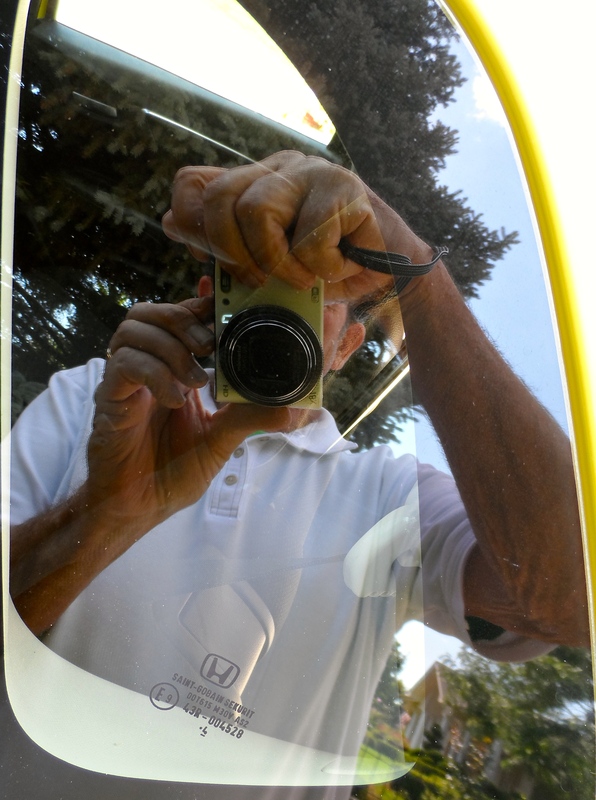 A backup camera is part of the deal on this Honda, and the company has supplied a camera on the right hand mirror to view the driver’s blind spot behind and to the right of the vehicle. It kicks on when the right hand turn signal is switched. I think it’s super – better than navigation and XM satellite radio, things not present in the Honda. M.S.R.P. of the Honda, at $18,225.00, is a good value. That’s the reason my friends (and my wife) expressed an intent to “get one of these.” We shall see about that. 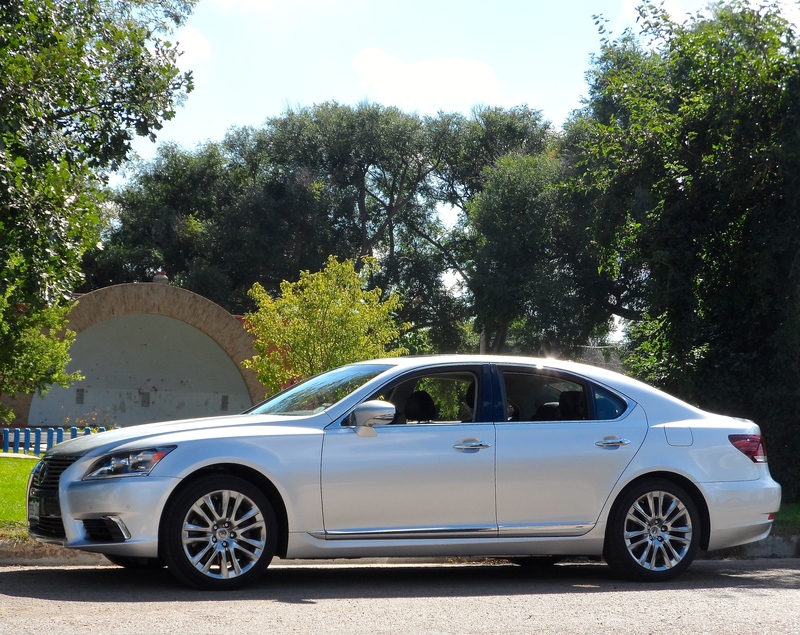 The most recent press loan car that I received was last week, a Lexus LS460 4-door sedan with all-wheel drive. 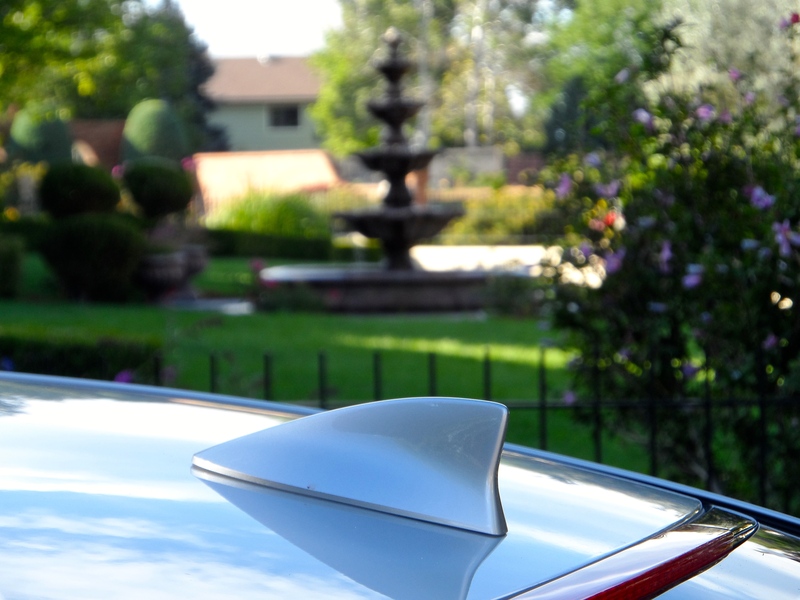 The team that delivered the car to Greeley was Rocky Mountain Redline, a fleet management firm in Dacono. The car came in Liquid Platinum (silver) metallic and the interior was black semi-aniline (perforated) leather. The car seated five comfortably because the LS (M.S.R.P. $90,444.00) is big, with a wheelbase of 116.9”, overall length of 200”, height of 58.1”, and width of 73.8”. Weight is 4,652 lbs. Power for the Lexus is provided by a 4.6 liter, 360 horsepower (@6,400 rpm) V-8 with a fuel economy rating of 16-city, 23-highway, and 18-combined mpg. My fuel mileage during the week with the car was 23.6 mpg, and the car held 22.2 gallons of premium gasoline. Torque rating for the Lexus is 347 lb. ft. @ 4,100 rpm, and the transmission is an eight-speed sequential-shift automatic with manual control setup. Acceleration was smooth and supple, and reportedly the LS460 will go zero to sixty in 6.0 seconds and top out at 130 mph. 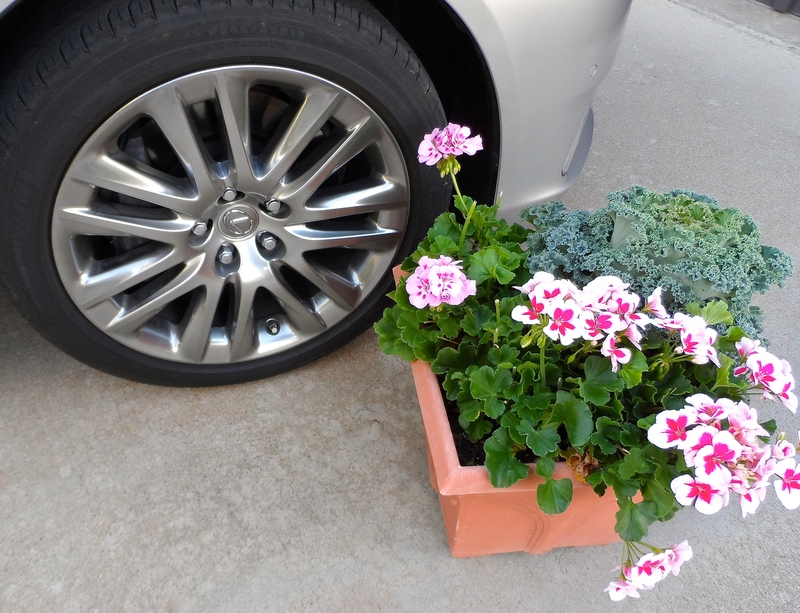 An adaptive air suspension system was featured on this LS, enhancing the ride appreciably. My wife Ruth and another couple all jumped into the Lexus recently to go to Denver to have dinner at the Denver Press Club. That couple was Mr. and Mrs. Bud Wells, Bud being the long time auto columnist that was with the Denver Post for over three decades. The LS, of course, gave us a superb ride and we got lucky and parked right in front of the restaurant on Glenarm Street. Dinner was great and Mr. Wells had many stories about his days of visiting the PC after late nights meeting deadlines at the Post. 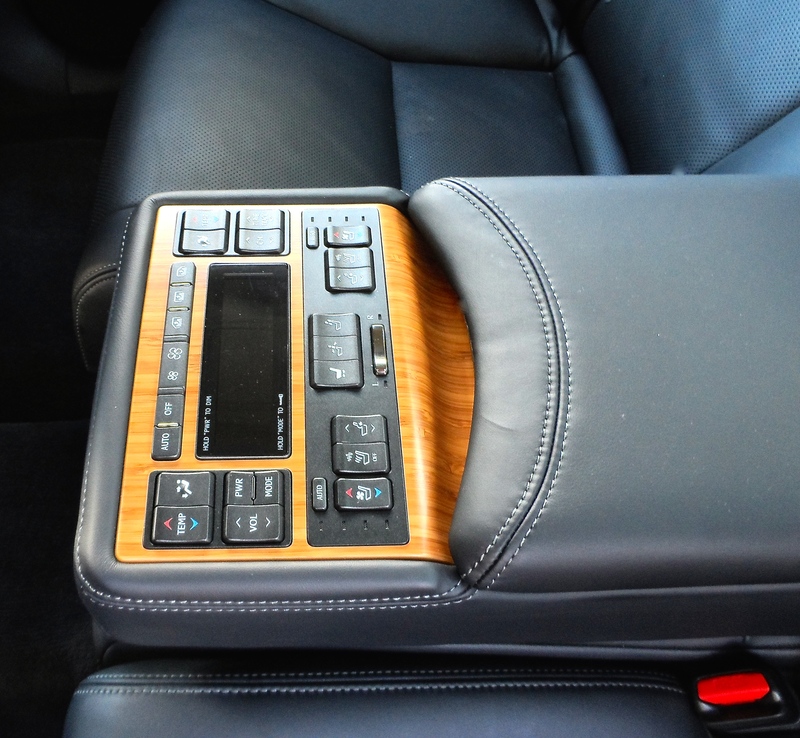 This car came equipped without the lane departure warning and radar cruise control, but it had a big navigation screen (12.3”) and 19 speaker, 450-watt Mark Levinson stereo with satellite radio, moon roof, and blind spot monitor. 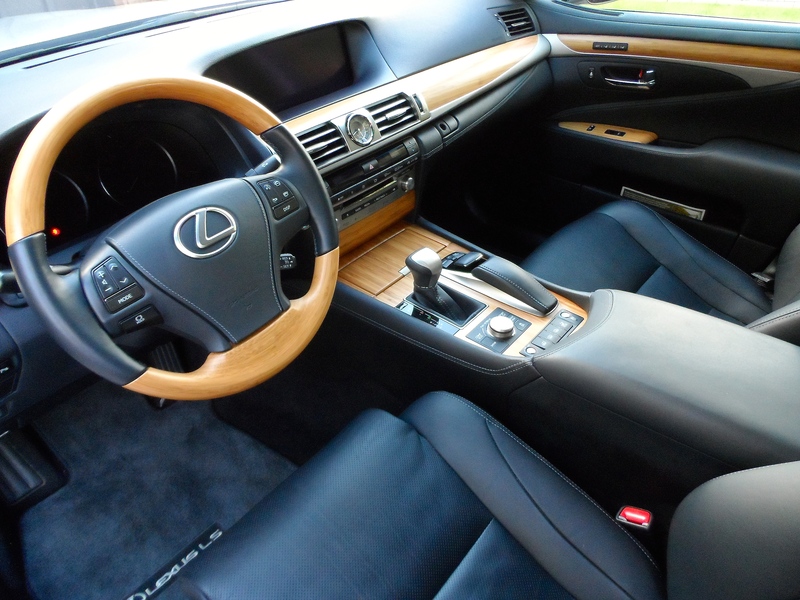 Also, the LS had Bluetooth, Lexus Enform app suite, and power tilt/telescope/heated bamboo steering wheel. All the windows powered up or down (out of sight), the mirrors folded in when the car was locked and a proximity key fob and pushbutton starter button were in the car. The front buckets were superb and adjustable in 16 (driver) and 12 (passenger) ways. Stitched leather was all over the interior, including some well-designed door panels. All four corner seats were heated and air conditioned, something for all the seasons, and the trunk held 18 cubic feet with a lid that powered up and down. The rear seats had a reclining feature, and sunshades were installed in all three rear windows. The styling of the car was a striking, metallic silver, and up front resided LED lighting for day or night attention. Taillights have three “L’s” molded within each, and an appropriate amount of chrome is installed on the car. The wheels were 19” split-seven spoke forged alloys surrounded by 245/45R19 all-season radials. The twin exhausts puffed out of two sculpted chrome finishers molded into the rear fascia. 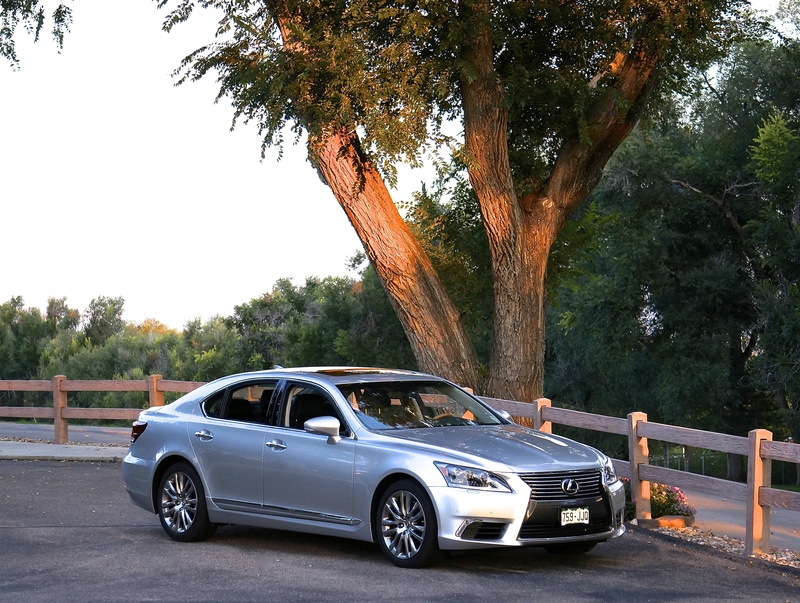 Driving the LS is a pleasure, the styling of the car is fine, and comfort for all people inside is top notch. The competition is fierce in this segment, but shoppers for a luxury sedan should not bypass the Lexus dealer during their search. 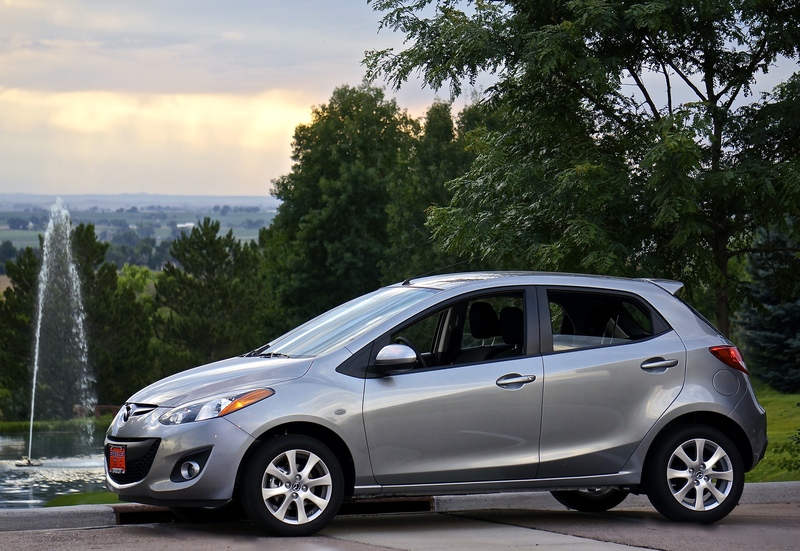 This past week I had the opportunity to test a new 2014 Mazda2 sedan courtesy of Greeley Mazda, located at their new location at 2805 Eighth Avenue in Greeley. The car was painted Liquid Silver metallic and featured black cloth upholstery with red piping. The Mazda2, known as the Demio in Japan, is in its third generation iteration, having been introduced at the 2007 Geneva Auto Show. Actually the American 2 was introduced two years later in Los Angeles , and the 2 is a car that has existed in one form or another since 1987. M.S.R.P. of the Mazda was $17,050.00 (base) and only freight was added onto the price to bring the total to $17,845.00. The 2 was the least expensive automobile that I have ever tested, but I cannot say it was the least attractive. And driving it was fine, as well, with power supplied by a 1.5 liter, 16-valve four cylinder engine with 100 horsepower (@6,000 rpm) and 98 lb. ft. (@4,000 rpm) of torque. Coupled to the front-wheel drive setup was a four-speed automatic electronically-controlled overdrive transmission. 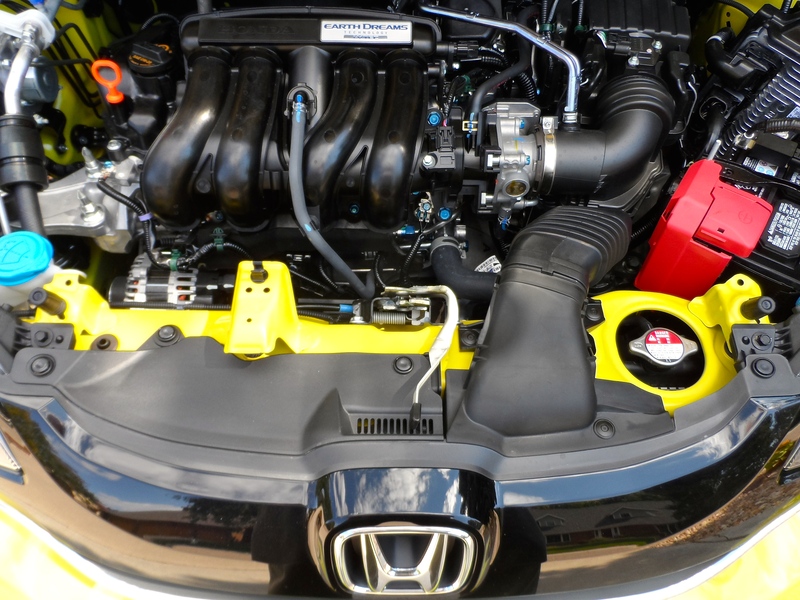 The engine burns regular unleaded gasoline, has an 11.3 gallon tank, and rates 28 mpg in the city and 34 mpg on the highway. Weight of the little Mazda was 2,359 lbs., and the five passenger hatchback was 155.5” long, 66.7” wide, and rode on a 98” wheelbase. Wheels were 15”, eight-spoke alloys fitted with P185/55R15 Yokohama S34 mud and snow radials. Cargo capacity behind the second row of seating was 13.3 cubic ft., and that number doubled when the back seat was folded flat. I found the back seat to be adequate for up to three persons, and the front buckets were supportive and attractive. 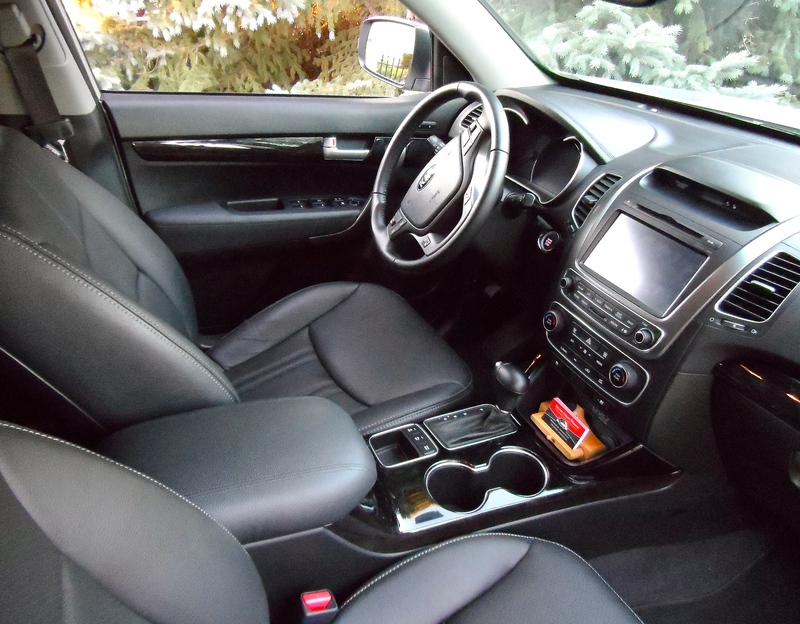 Other interior appointments included cruise control, power locks/windows, leather-wrapped steering wheel with audio controls, 6-speaker CD/stereo, and a USB/12 volt outlet. Also present, thankfully, was air conditioning capable of cooling this driver in 95 degree heat. Visibility was fine, as was guidance, ride, and handling. No excessive road noise was present, and acceleration was adequate, considering that the car has 100 horsepower. Reportedly, the zero to sixty timing is a little over ten seconds. Front suspension is of the MacPherson strut variety and in the rear is a torsion bar setup. I think that the styling of the 2 is a strong suite. It has rakish lines, is hiked up in the rear where the hatch is, and has a visor over the rear hatch where a wiper resides. Front styling is along the Mazda family theme; the Mazda family having an attractive lineup to offer. The Mazda2 appears to this review to be a good choice in the B-segment category. It’s comfortable, drives nice, is good-looking, and won’t break the bank at purchase time. Yesterday, I took my current test car to Grant, Nebraska to get a photograph at the park where my Nomad posed in front of my camera in 1966. Grant is my home town, and I was there to attend the Bullock Chevrolet auction, where 200 cars and 2,000 people were on hand. I have the silver car pictured for a few more days, and have posted a review elsewhere in this blog. 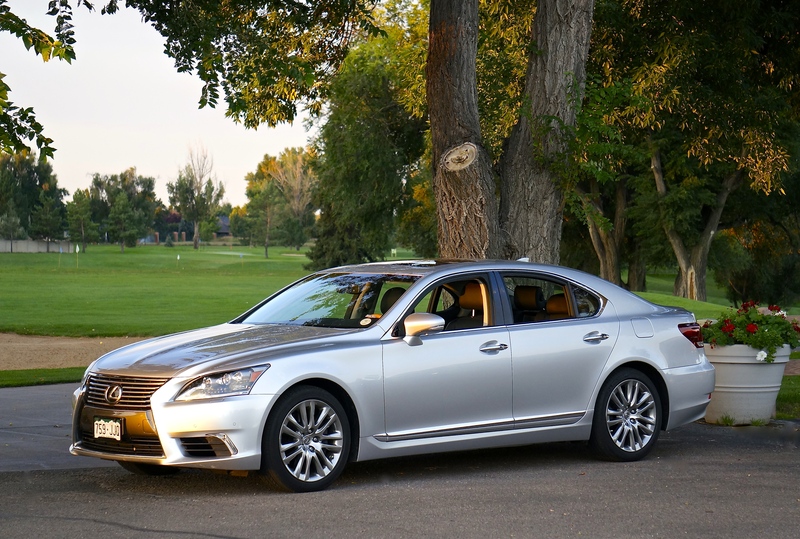 It is a 2014 Lexus LS460 with an M.S.R.P. of $90,444.00. 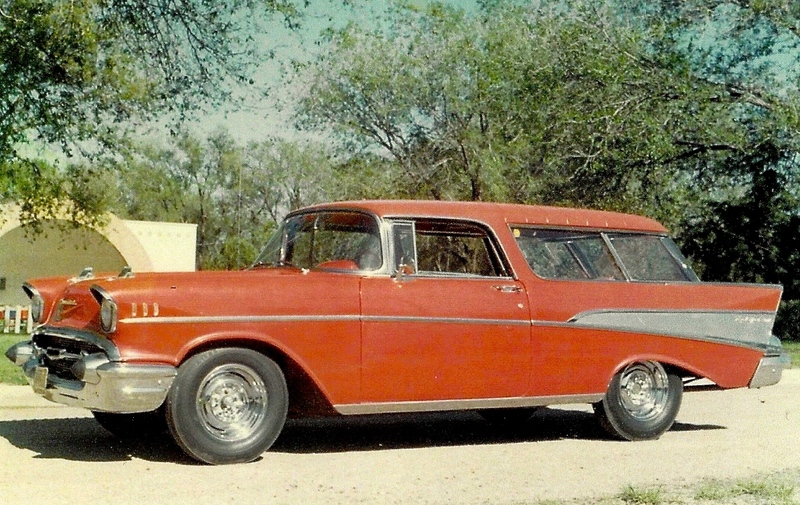 The 1957 Nomad would have brought about the same amount of money, had it been down the street and for sale at the auction. I should never have sold it, but did, in 1968. Computer and internet whiz Elon Musk joined Tesla Motors in 2004, a year after Martin Eberhard and Marc Tarpenning founded the company. 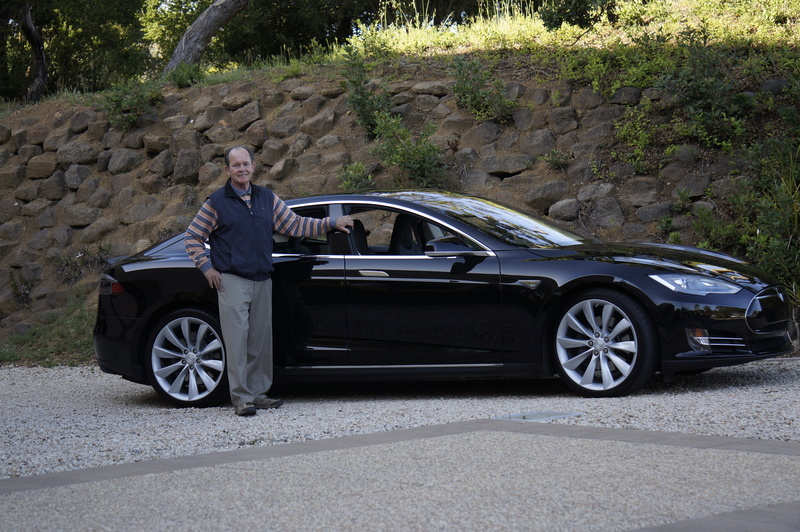 He is generally considered a co-founder of Tesla, as he is of PayPal, Space-X, and Zip2. The South African-born Musk is an American citizen and holds the position of CEO and Chief Product Architect at Tesla, based in Palo Alto, California. 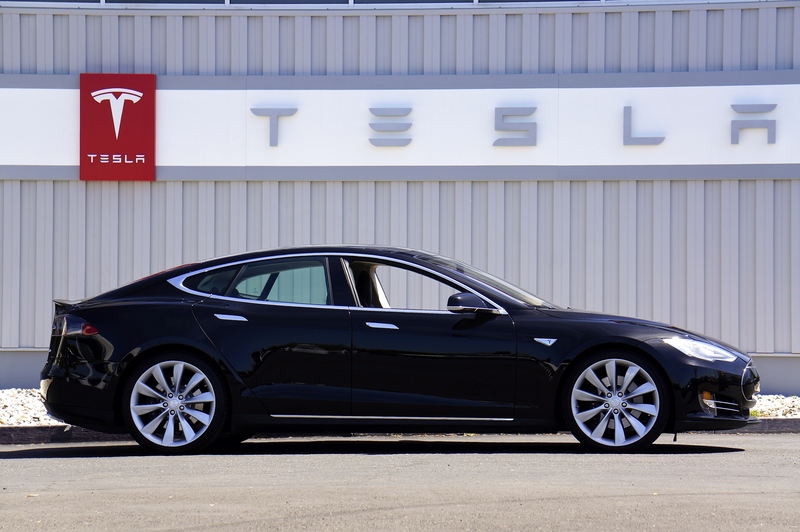 Tesla designs and manufactures premium electric vehicles. I was recently in San Francisco and made arrangements to go by Tesla’s nearby headquarters to pick up a 2014 Model S for testing. Communications specialist Alexis Georgeson was there to meet me and turn over the keys to the solid black four-door sedan with black leather seating. I was pleased to discover the “P85+” badging on the trunk of my test car, emblematic of Tesla’s biggest battery installation and a high performance drive inverter. The 85 kWh battery/motor combination puts 416 horsepower to the rear wheels at between 5,000 and 8,600 rpm. Peak torque on this automobile is 443 lb. ft. at any rpm between zero and 5,100. Range of the performance Tesla Model S is estimated by the manufacturer to be 300 miles at 55 mph. EPA 5-cycle certified testing results are 265 miles, and such testing is at higher speeds and with operating electric accessories. I drove 214 miles, but stopped at a Tesla Supercharger to top off the battery midway through the test. I wanted to experience the stop at their facility, where a 30 minute charge brought my battery up to 262 miles of range. The procedure was simple, located in Fremont, and a suitable lounge was on hand for motorists, some of which were monitoring charging progress on their smartphones. The company provides the battery charging at no cost to Tesla performance S owners at the facilities, which number 85 in North America and 14 in Europe. Of course, the Tesla can be charged pretty much at any location with 110 or 240 volt AC power, including at home. I familiarized myself with the test car before heading north on U.S. Highway 101 toward the Inn at the Opera in San Francisco, where Ruth and I were staying. The prodigious power of the Tesla is confidence-inspiring on the freeway, assuring the driver that he can jump into the next lane, merge, or pass with instantaneous response. The car is all-electric, and has no gas tank or gas engine, with a battery that is under the passenger compartment, about 5’ by 8’, and shaped like a graham cracker. Tesla batteries, in two incidents, have been pierced by road debris, causing fires without fatalities. The company has recently added shielding under the Model S to prevent further incidents and is retrofitting owned Teslas upon request at service intervals. The NHTSA looked into the fires, and recently closed its investigation without pushing for a recall. 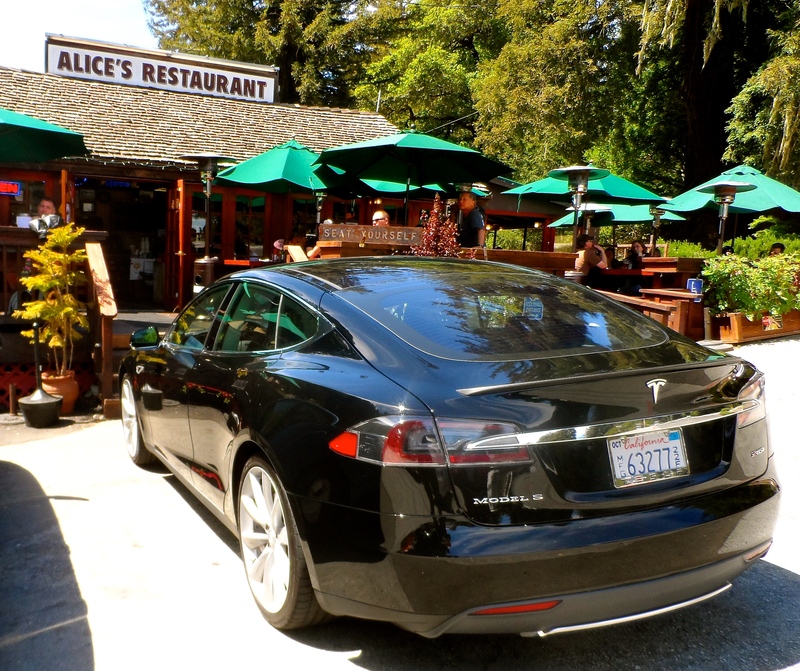 On the second day with the Tesla Model S, my wife and I drove to Alice’s Restaurant on Skyline Boulevard in Woodside, California. At Alice’s, “you can get anything you want”, according to Arlo Guthrie, and I chose French toast. As I understand it, residents of Woodside can get almost anything they want, with median family income of nearly $200,000.00. So it was no surprise that the locals in the diner were accustomed to cars such as the Tesla Model S making an appearance at Alice’s. The drive to Woodside is through tall redwoods on a serpentine two-lane road where the Tesla flexed its muscles with a remarkably low center of gravity, Michelin staggered Pilot Sport PS2, Z-rated tires, front double-wishbone/rear multi-link suspension and near 50/50 weight distribution. I had never driven a car with 35-aspect tires, and I was surprised at the acceptable ride of the Tesla – the handling was not a surprise. Inside the cabin of the Model S resides a 17” touchscreen navigation/stereo system, panoramic moon roof, supple leather buckets, and a console tray perfect for the wife’s purse. The navigation display is replicated on the dash just ahead of the driver, and I liked that for getting through California traffic. Some options are absent on the Tesla such as blind spot monitor and adaptive radar cruise control. The rear camera, however, can be turned on at any time, not just while in reverse. No gas mileage ratings (no gas) are published for the Tesla Model S, but to drive 25,000 miles, the Tesla will require $778.00 worth of electricity (.11 per kilowatt/hour). So at $3.80 per gallon, a gas-powered vehicle would have to get 122 mpg to go that far for that much money. A Tesla owner could sneak in a few Supercharger refills and lower the cost-per-mile even further. Cost of the car, on the other hand, is high, with a base price of $89,900.00. My test car was loaded with options – seven passenger seating, alcantara headliner, 21” alloy wheels, tech package, high fidelity sound system, et al, and thus the total M.S.R.P. was $127,020.00. 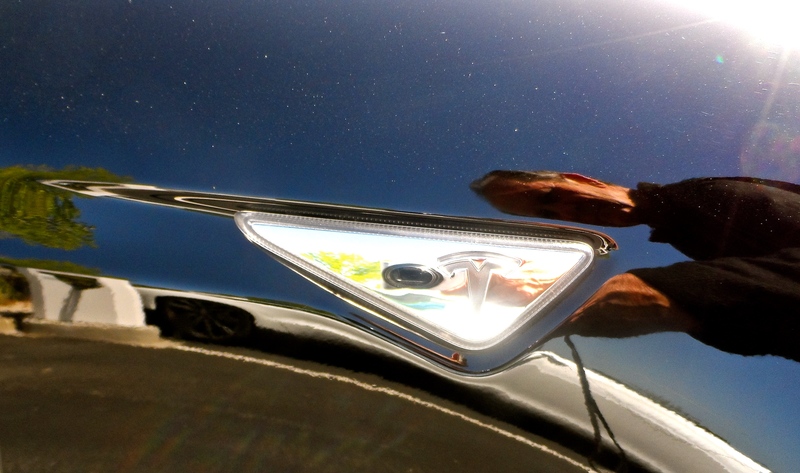 Federal and in some cases state tax credits can help mitigate the investment in a Tesla. By the end of 2014, Tesla will be introducing an SUV called the Model X. It will share a lot of the Model S technology, but offer all-wheel drive with electric motors both front and rear. Falcon doors that swing up and above the vehicle will be a feature of the Model X. Another Tesla, the model E, will be a smaller sedan reportedly available in 2016 and is to be priced under $50,000.00. I came back from California thoroughly impressed with the Tesla Model S, had a good time driving it, and thought the people at the company were very accommodating to this journalist. It’s hard to bet against this company as they try to bring electric vehicles into the American automotive mainstream.